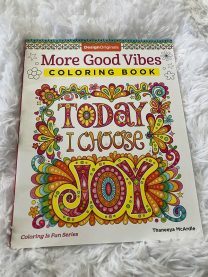 Colouring is an excellent source of coping for depression, anxiety and stress. 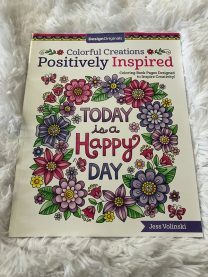 This book is filled with happy and positive phrases to help you through what you are dealing with. Colouring can help relieve symptoms of stress, anxiety and depression. This tattoo themed colouring book is fun for those who have a love of body art! 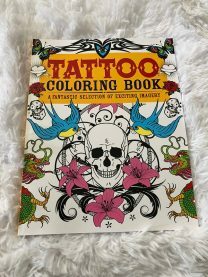 Disclaimer that some individuals may find some of the tattoo sketches to be scary, and we ask that you exercise self-care when considering purchasing this colouring book. Colouring during stressful or anxious times can help reduce the symptoms you are experiencing. Add in some positive messages to colour, and you may be one your way to feeling a bit better today. The art of keeping a journal is a tried and true coping mechanism. 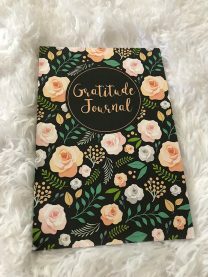 The Gratitude Journal is a way for you to remember what you are thankful for each day, and either start or end your day with positive thoughts. 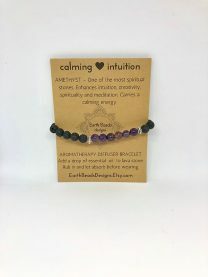 Aromatherapy diffuser bracelet featuring amethyst stones that promote intuition, creativity, spirituality and meditation. Amethyst stones are said to carry a calming energy. Place your favourite essential oils on the black lava beads and enjoy! 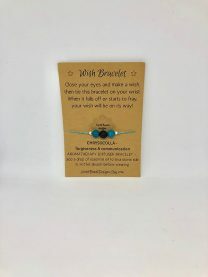 Wish Bracelet for FORGIVENESS & COMMUNICATION, featuring chrysocolla stones. 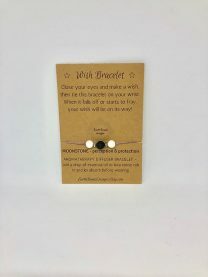 Place your favourite essential oil on the black lava beads, tie your bracelet on, make a wish, and keep it on until it falls off! 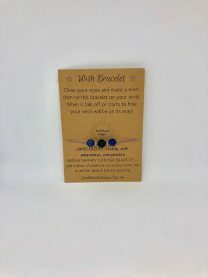 Wish Bracelet for CLARITY, SELF-AWARENESS and COMPASSION, featuring lapis lazuli stones. Place your favourite essential oil on the black lava beads, tie your bracelet on, make a wish, and keep it on until it falls off! 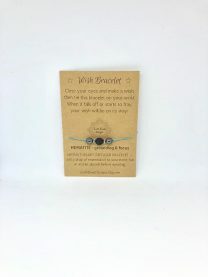 Wish Bracelet for BALANCING and PROTECTIVE, featuring indian agate. Place your favourite essential oil on the black lava beads, tie your bracelet on, make a wish, and keep it on until it falls off! 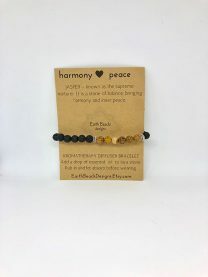 Aromatherapy diffuser bracelet featuring jasper stones – a stone of balance, bringing harmony and inner peace. Place your favourite essential oil to the black lava beads and enjoy! 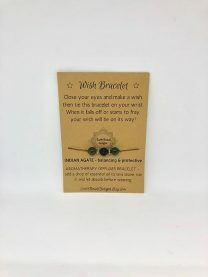 Wish Bracelet for GROUNDING and FOCUS, featuring hematite stones. Place your favourite essential oil on the black lava beads, tie your bracelet on, make a wish, and keep it on until it falls off! 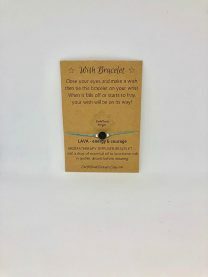 Wish Bracelet for PERCEPTION and PROTECTION, featuring moonstones. Place your favourite essential oil on the black lava beads, tie your bracelet on, make a wish, and keep it on until it falls off!